Beaches are perfect for meditation, which is something the Master of Chaos (i.e. me) needs to remember. This was my first attempt at a seascape and some different blending techniques. 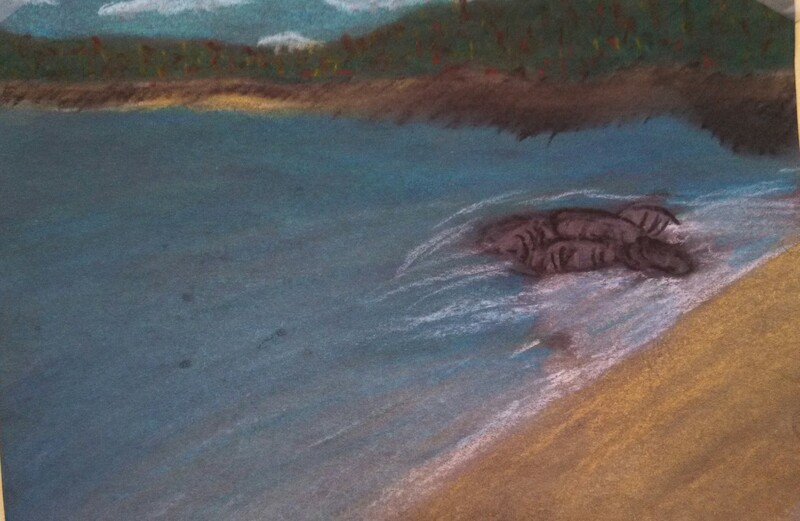 There is a photo of this beach on the walls of my therapist center, and I tried to emulate it. It is also really really cold out (for North Carolina), and I wanted to remember a warmer time of the year. A nice peaceful harbor… makes me want to read a book, or get a massage. Or go out and sit on the rocks and watch the waves roll in. This is a 8″ x 10″ photo.